Company: Quality Oil Tools LLC. 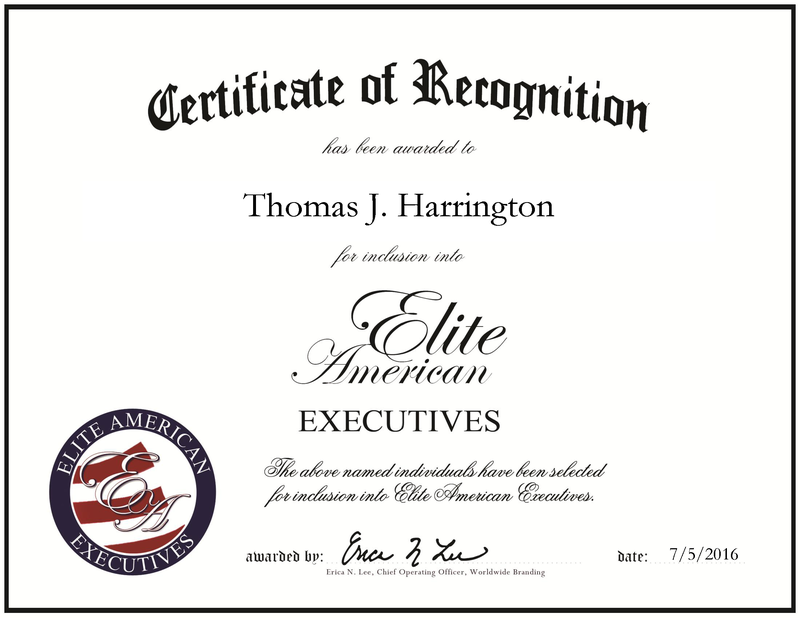 Kingwood, TX, July 5, 2016, Thomas J. Harrington, Vice President and Director of Business Development for Quality Oil Tools LLC., has been recognized by Elite American Engineers, for dedication, achievement and leadership in the oil and gas industry. After four years with the United States Army, Mr. Harrington started working as a roustabout on an oilrig in 1981. Fast forward nearly 30 years, he is the vice president and director of business development for Quality Oil Tools LLC. He joined the company in 2014, bringing to the company his hands-on experience in the offshore drilling industry. Prior to joining the company, he worked as the global sales manager for Worldwide Oilfield Machine, managing international accounts and drilling contractors in the United Arab Emirates, Korea, Singapore and Brazil. Mr. Harrington is committed to staying current with the developments of his industry by maintaining affiliation with the Society of Petroleum Engineers, the International Association of Drilling Contractors and the NOMADS of Houston Chapter. At Quality Oil Tools LLC., he displays his skills and knowledge in the oil industry by developing new business and strengthening existing business. Mr. Harrington is noted for starting in the industry young, providing him with the advantage to succeed quickly at each level of his career. With an impressive work ethic and positive can-do attitude, he has was able to make the transition to working on oil rigs to the executive teams of large, international companies. Looking toward the future, it is Mr. Harrington’s desire to grow the company tenfold. This entry was posted in Energy, Oil / Energy and tagged business development, Contractor, director, energy, offshore drilling, oil and gas. Bookmark the permalink.